A year ago in May 2012 JP Morgan made a loss on credit derivatives trading, which chief executive Jamie Dimon blamed on errors,sloppiness and bad judgement” and warned “could get worse”. Understanding JP Morgan Loss . 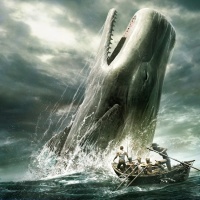 It was widely known that a group of about eight credit-focused hedge funds, such as Blue Mountain Capital Management and Saba Capital Management, were on the other side of the trades that JPMorgan’s London-based Whale team made on an index tied to corporate default rates. But the role JPMorgan’s own investment bank may have played in the messy unwinding of the derivatives trade has not come out until now. The Federal authorities are currently investigating whether some employees in the CIO deliberately used misleading valuations to try to conceal some of the losses. The story was published on the Reuters I am still not able to understand he role of Risk Officers since May 2012.